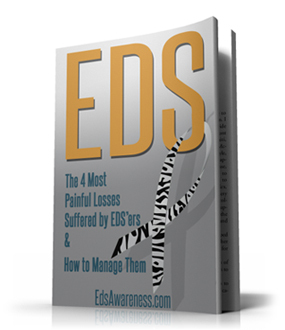 Ehlers-Danlos Syndrome is just one of many invisible illnesses that dramatically alter the course of the patient’s life. Catherine Richardson was just 18 when her life began to fall apart, but living with an incurable, invisible illness hasn’t stopped her. This photo was taken a few months before she first became sick. (Handout). Nov. 20, 2016. At 18, Catherine Richardson’s life was all planned out: she was getting amazing grades in her first semester of university, pursuing her dream of being an occupational therapist, and working part-time as a dance instructor. Everything was going according to plan – until she came down with the flu. Months after she should have recovered, Richardson felt nauseas, got full easily, constantly had an upset stomach, and was rapidly losing weight. An official diagnosis of the chronic, genetic disease Ehlers-Danlos Syndrome (EDS) wouldn’t come until more than five years later, but the world Richardson had spent her entire life creating was beginning to fall apart. Over the next seven years, this inherited disorder would force her to drop out of school, quit her job, give up her career dreams, and stop eating food entirely. 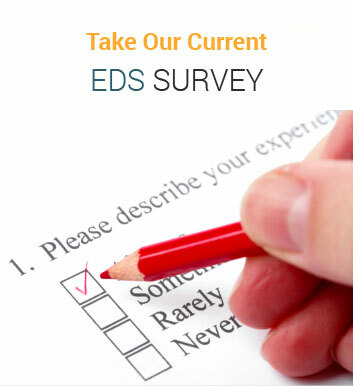 EDS is the name given to a group of inherited connective tissue disorders for which there is currently no cure, or even viable treatments. It is also considered an invisible disease, meaning its debilitating symptoms are not obvious at first glance – a challenge that often leads to it being under-diagnosed and misunderstood by society. Yet despite having more reasons than the average person to succumb to negativity, Richardson has created a new life for herself. 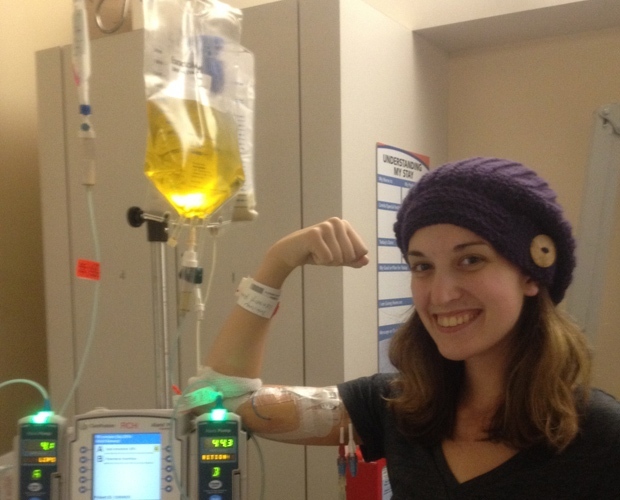 Today she operates a popular blog on her experiences living with chronic illness, and is a feisty advocate for those with invisible diseases around the world. Sitting in the living room of her family’s home, Richardson doesn’t look like someone with a life-altering chronic disease. She has all of her hair, she isn’t using crutches or a cane, and she is talkative, vibrant, and witty. Yet she lives with hypermobility EDS, meaning her joints bend much further than average. 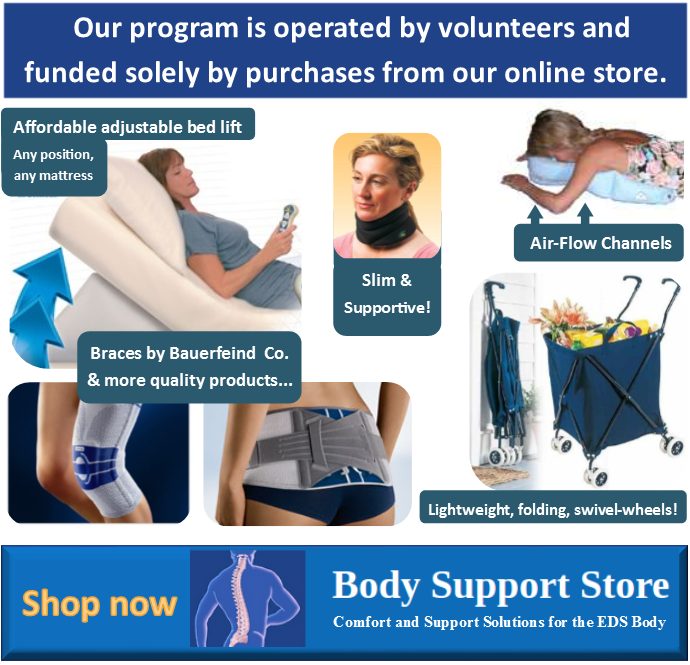 There are also challenges with her autonomic nervous system, including difficulty regulating heart rate, temperature, and blood pressure. The biggest issue, however, has been gastrointestinal – for the last several years she has been unable to eat enough to stay alive. 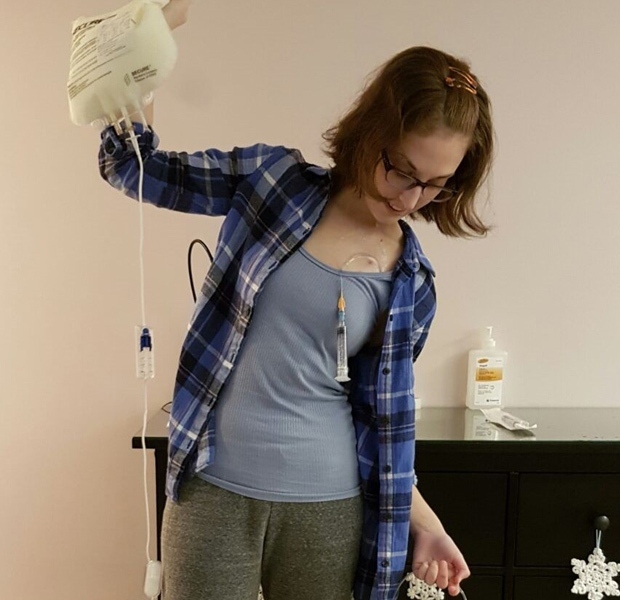 Richardson relies on total parenteral nutrition (TPN) to survive, and has a surgically implanted central line that bypasses her sluggish digestive system and delivers nutrients directly to the blood. Her seemingly normal appearance is the Jekyll-Hyde, blessing-curse of living with an invisible disease.